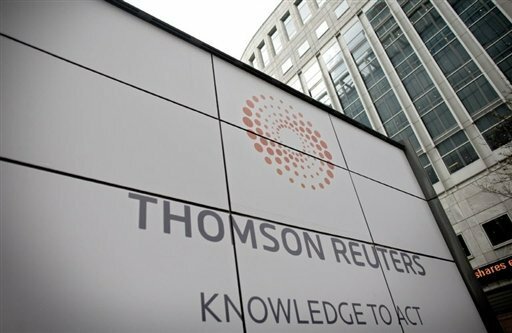 Thomson Reuters have the knowledge to act – Poverty Paid Demand a Living Wage! Cleaners of the offices of Thomson Reuters, one of the worldâ€™s leading media conglomerates, will today be protesting with their union The Industrial Workers of the World demanding the London Living Wage which is at Â£8.30 and an end to bullying management. In November 2011, despite the group almost doubling their profits during that quarter, all staff including the cleaners were denied the prospect of any rise to their wages. In February the National Union of Journalists secured guaranteed minimum 2.5% pay rise for all journalists. Following this the cleaners organised a petition which has gained signatures from Members of Parliament from Labour, Green and Democratic Unionist Parties which was presented to Thomson Reuters management. The cleaning contractors, Rentokil Initial, reacted with fury, the cleaning staff were berated and called â€œstupidâ€ for organising independently and told put up with no pay rise or â€œget another jobâ€. Also the cleaners were instructed to sign a new document agreeing that if they organise independently again, this would be constitute â€œgross misconductâ€ leading to dismissal. Speakers from RMT and PCS unions will participate in the demonstrations and pending progress between the union and Thomson Reuters, another demonstration will be planned for Friday 30th March.